Blacklisting nouveau module solves the issue, and finally let me install and use antergos on the laptop. @RoadHazard pamac 6.0.4-2 is in the antergos repositories now, I’ve just installed. Well, I’ve pasted my old fonts into the path /usr/share/fonts and the issue has disspeared. The only question left is which of the fonts fixed the issue. What font is used for the status bar text in the Numix Frost theme? If you don’t have grub boot menu when starting the installed Antergos, then that may be a different problem. Can you select grub to boot from the BIOS/firmware? Often you get to BIOS/firmware during boot by pressing F2 (or maybe some other function key) key several times before the boot process starts. You’re right, there it was. Thanks! 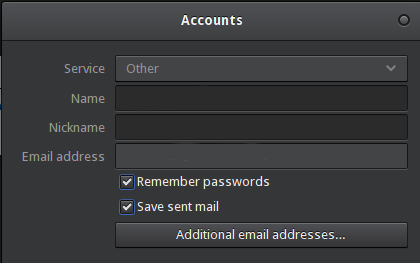 remeber passwords is enabled inside geary account settings? Update: I can now confirm, that Pamac 6.0.3-3 shows all updates. Thanks for your help! I knew something weird was happening with the updates. I’ll wait until antergos updates pamac.